The process of extracting oil and natural gas using hydraulic fracturing (or fracking) produces large amounts of liquid and solid waste. This is true of high­volume fracking – which is banned in New York State – and conventional, low­volume fracking that continues in western New York. Fracking waste includes rock and drilling lubricant left over from the process of drilling a well, as well as wastewater and sand from the fracking and production processes. Some of this waste is being imported into New York from Pennsylvania. Some of it comes from more than 12,000 conventional, low-­volume oil and gas extraction wells within New York State. Fracking waste can contain a number of pollutants, such as chemicals, metals, excess salts, and carcinogens like benzene and naturally ­occurring radioactive materials. 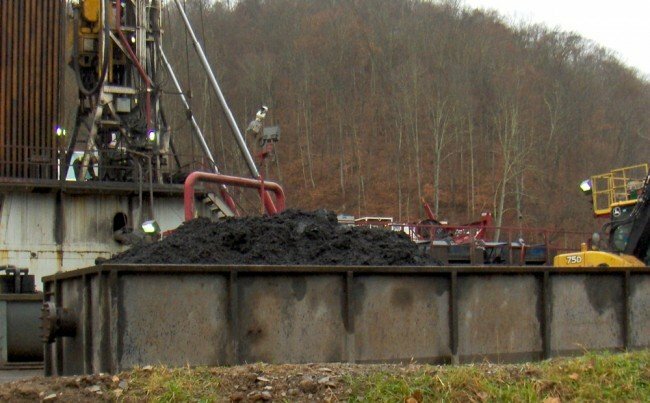 Due to a loophole in state law, oil and gas industry waste is exempt from hazardous waste requirements, meaning that – no matter what it contains – fracking waste is not classified as hazardous. This “hazardous waste loophole” also means that fracking waste can be disposed of at facilities unequipped to handle it, and in ways that can put our health and environment at risk. Factsheet: What is Fracking Waste?